29 April 29 to 1 May. In less than 12 months, Jewers Doors has quickly established a network of regional distributors and locally authorized installers across the U.S. and is now poised to begin bringing product into the States. Jewers Doors’ Australian reseller, Max Door Solutions (MDS) have recently completed the installation of four sets of Swift-SEW automatic bi-folding doors on the Maintenance Depot for the new Light Rail System in the country's capital, Canberra. the 2022 FIFA World Cup Final. 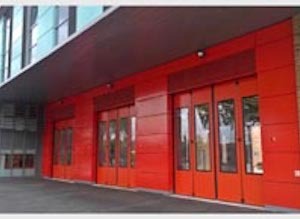 Suffolk Fire and Rescue Service recently commissioned Norwich-based Cooks Industrial Doors to install two sets of state-of-the-art sliding folding doors at Long Melford Fire Station in rural Suffolk. The original fully glazed, wooden-framed doors had seen better days and were prone to jamming during operation, particularly during inclement weather; an issue often arising when vehicles needed to exit rapidly under blue light conditions. Jewers Doors have just installed eleven Osprey sliding folding hangar doors at Solent Airport in Hampshire, which completes the latest step in a £50m masterplan to transform the Deadalus site in Fareham, near Portsmouth, into a business airport. 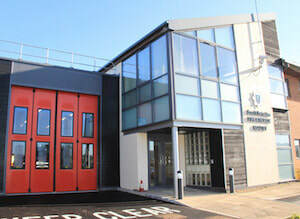 South Yorkshire have recently opened the County’s first joint fire and police station. 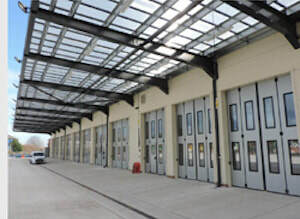 Key to maximising speed of exit of the fire tender under ‘blue light’ emergency response conditions was the installation of a pair of 4m wide by 4.5m high Swift automatic bi-folding doors which open fully in less than 7 seconds in automatic mode at the front of the fire appliance bay. National College for High Speed Rail (NCHSR) opened its doors to students following the installation Jewers’ Swift-SEW high speed, automatic bi-folding doors to complete the external structure of the workshops at both Birmingham and Doncaster campuses. 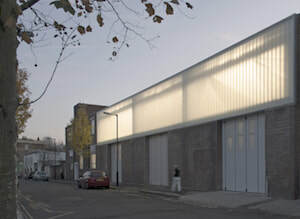 Designed by Bond Bryan Architects, both campuses include large-scale workshop areas that will incorporate machinery and scale model areas as well as the capacity for full size power cars and carriages. 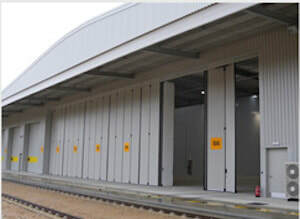 Specialist industrial door manufacturer, Jewers Doors, has installed eight of its latest Swift- SEW and two smaller Swift horizontal bi-folding doors at Transport for London (TfL)’s new Operations, Maintenance and Control (OMC) depot for the Elizabeth line at Old Oak Common, West London. 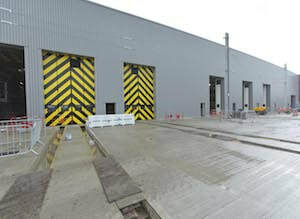 This new state-of-the-art 9-track, train maintenance building is part of the £142 million contract awarded to Taylor Woodrow and will accommodate 33 trains while routine maintenance is carried out. Specialist industrial door manufacturer, Jewers Doors, has installed five of its latest Swift SEW automated sliding bi-folding doors at Hitachi Rail Europe’s (HRE) new £80m maintenance depot for the Intercity Express Programme (IEP) trains at Doncaster. The doors are operated by a recently developed high power, centrally mounted SEW drive unit, which incorporates inverter control for smooth start and stop and takes less than eight seconds to open fully. Safety is ensured with full height pressure sensitive safety edges and photocell beams to create a safe zone around the door during operation. 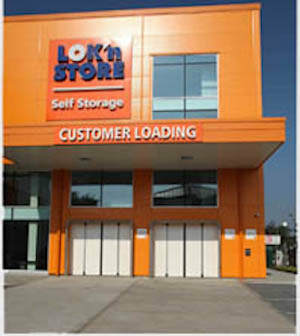 Leading self-storage specialists Lok’nStore have installed Jewers’ Swift bi-folding doors for customer access at their depots throughout South and Central England. The doors supplied and installed by Jewers were manual versions of the successful Swift bi-folding doors. These robust doors are designed for heavy duty applications, and the low resistance hinges ensure continued effortless operation. 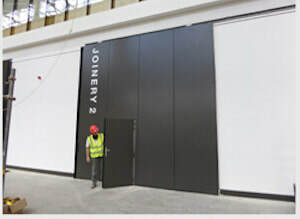 Continuing its long-standing involvement with hangar projects on RAF bases, Jewers Doors has designed, manufactured and installed its world renowned Esavian doors on the new 24,000m2hangar at RAF Brize Norton. Used to maintain Airbus A400 Atlas four-engine military transport aircraft, which have a wingspan of 42.5 metres, the three-bay hangar will also accommodate C17 Globemaster freight and A330 Voyager personnel aircraft and includes a three-storey office facility. 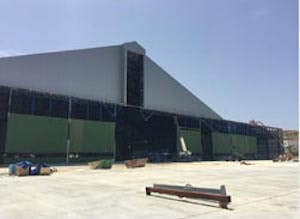 Jewers Doors is installing its Esavian hangar doors in the new Aviation Cosmetics painting and finishing hangar at Safi Aviation Park on Malta. 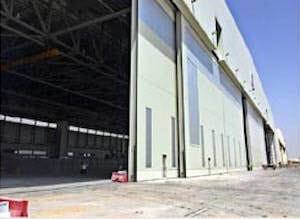 Built to accommodate A380 aircraft, the hangar is having Esavian Type 126 doors designed, manufactured and installed by UK company, Jewers Doors. 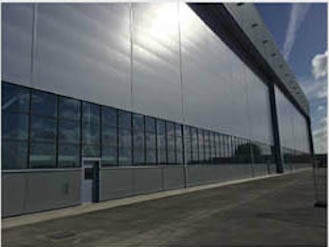 Each of the three door leaves are 42 metres wide and 13 metres high and an additional vertically opening door increases the opening maximum clearance to 26 metres. 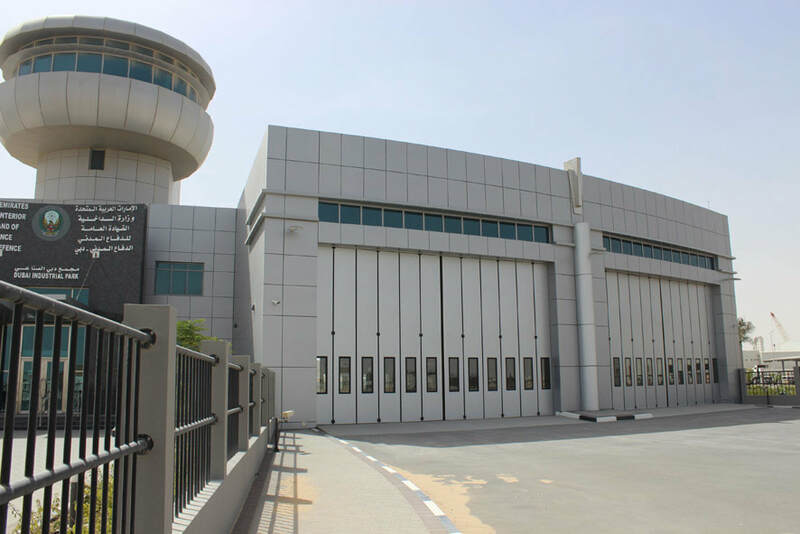 Bedfordshire based Jewers Doors recently completed a project to design, manufacture and install its world renowned Esavian doors in the Presidential Flights Hangar 2 at Abu Dhabi International Airport. 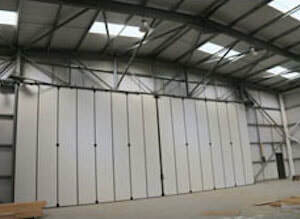 Wales Air Ambulance has just installed an electrically operated multi-leaf sliding folding Osprey hangar door to their new purpose-built helicopter hangar at Llanelli, Carmarthenshire. 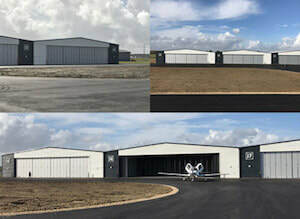 The new hangar is integral part of their new headquarters due to be completed later this year, and will be a fully operational airbase housing the South Wales helicopters as well as the charity’s administration centre. 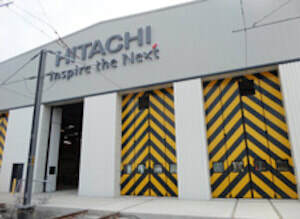 Specialist industrial door manufacturer Jewers Doors have installed several of its Phoenix range sliding folding doors at Hitachi’s new UK rolling stock manufacturing centre at Newton Aycliffe. 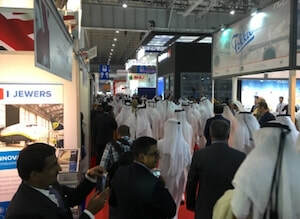 Day one of the Dubai Airshow 2015 and the royal party passes the Jewers Doors stand. We're getting ready to exhibit (on stand 742) at Dubai Airshow. To discuss your requirements for hangar doors of all sizes and learn why our Esavian doors are world class drop by our stand. We look forward to meeting you. This was our stand number 770 in Hall B6 at Inter Airport Europe this morning 6 October on the first day of the show. Hours later it's now much too busy to take photographs! Lots of interest in our advanced hangar door solutions. As we near completion of our rebranding exercise, we have added our new logo and strapline to the side of our HQ building in Biggleswade, UK. 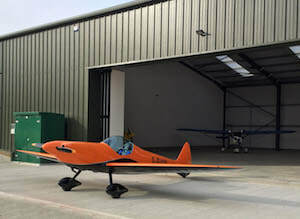 Jewers has designed, manufactured and installed six identical sets of its world-renowned Esavian hangar door system for the new SAR facilities located around the coastline of the British Isles.